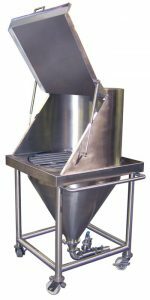 At IEDCO, we custom design and build our own bag dump stations. The needs of every job are different which is why we have not built the same bag dump station twice. 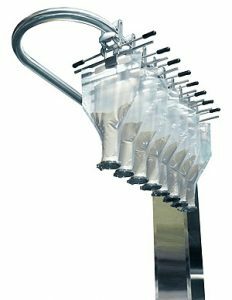 Whether your bag handling challenges are simple or complicated, IEDCO is uniquely positioned to provide the solution. 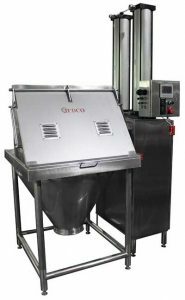 IEDCO has developed a pneumatically operated Semi-Automatic Bag Cutter that removes the cutting process and the blade from the operator’s hands. When you empty bags you generate a lot of trash and removing the empty bag from the confines of the bag dump station to a trash bin generates spillage.